Base NAV includes functionality to handle electronic payments to vendors easily enough. Generate the file, transmit it to the bank…the money is moved. The disconnect is the communication of payment details to the vendors. From the payment journal with any number of payments listed, the process generates a single print job. The only somewhat-simple (yet costly) way to send the remittance details out, is to stick them in envelopes and mail them to the vendors. Don’t forget to deal with the issue of address labels or have the document customized to fit a window envelope. It’s a headache…and certainly not electronic. 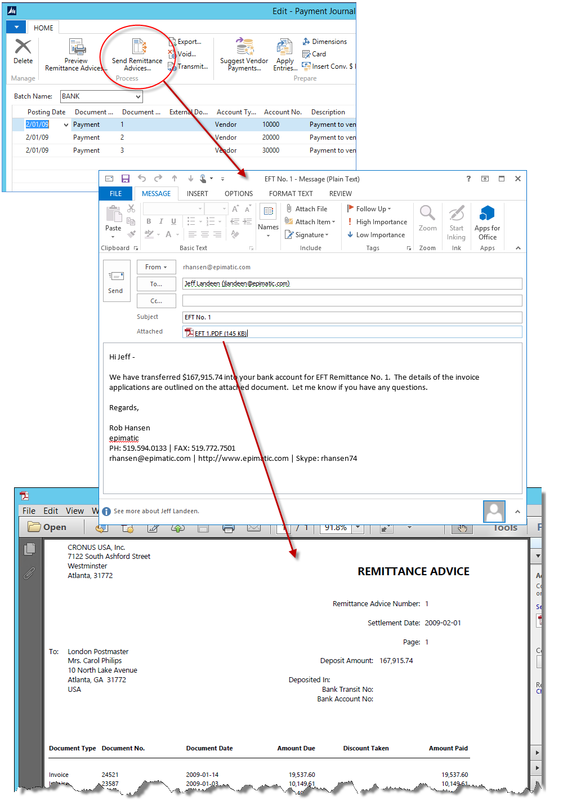 DocumentPath closes the gap, allowing remittance advice details to be sent from the payment journal, using each vendor’s specified setup. Email, fax or hardcopy…the remittances go out quickly and easily.